I am blogging for more than 3 years now and I have written more than 255 original posts in my site (besides my other contribution as a guest poster in other sites). That means that I (as many bloggers) have to accumulate a lot of content on my site that can be utilized in various ways and provide more value to the users. The name of the game is the continuous value provision to the audience you have chosen to serve, and content repurpose can serve this purpose in a grand way! Most of the posts I have written on my blog(s) (or other posts I have contributed to 3rd sites) can be easily considered as evergreen content which, per se, can provide a solid base of continuous value provision to you as well as to new (and recurring) readers of your site! Besides, evergreen content is never out of fashion! But content repurposing serves many objectives more and is not be used just for the lack of new ideas! In my notebooks, I have a lot of notes focused on similar subjects! As the things are I cannot rewrite all the time my older posts trying to make a better argumentation, to improve the SEO results, or add one (or more) points, or reference. Something like that would be unproductive. You need a solid content strategy to employ successfully a content repurpose practice! What though can be done, is the “rewrite” old posts and repurpose them in a way that new posts and ideas and approaches can be produced! Content Repurpose. What an Idea! The content repurposing practice in simple term is when you use your old content and material in order to develop new content! Simple as that. Content repurpose can have many advantages. Content repurpose can have many forms. You can use the same content as a base by changing its headline or a visual/multimedia element and publish it in a 3rd site (like Medium, Quora, LinkedIn Pulse. etc.). Or you can simply borrow some argumentation from different posts and develop something new, or simply use some points of reference to an old post in a different format (video, podcast, presentation, infographic, webinar, etc. ), content, or context. Or you can find some evergreen content ideas and start exploiting them. Or you can use the same basic content and rewrite structure, scope and/or objectives. The capabilities are endless! Content Repurpose Without the Fuzz! Take an inventory of what can be utilized and how (this is important because not all content is equal!). I usually work it in a spreadsheet in excel in which I insert the post, its location, its description, the possible formats it can be transcribed to (not all content can be easily transcribed in a different media channel) and an evaluation point (from 1-10) determined the relative value of the content under examination. Locate the content that has high value for YOU (either in terms of research, argumentation, basic reference, scope, objectives, etc.) and you can use it as a matrix or template for rewriting or developing new content. The second basic requirement for content repurposing is for you to understand with clarity how Google views duplicate content! This is important because if you want, for instance, to republish blog posts in LinkedIn Publisher, you should wait some time (usually 2-3 weeks) in order the bots have the time to understand which is the original and which is the copy and rate them accordingly (the original has always better score). The third requirement is that you always need to employ content repurposing as an integral part of your content strategy and not arbitrarily! Always, your content should fit in your general strategy for content development and distribution! 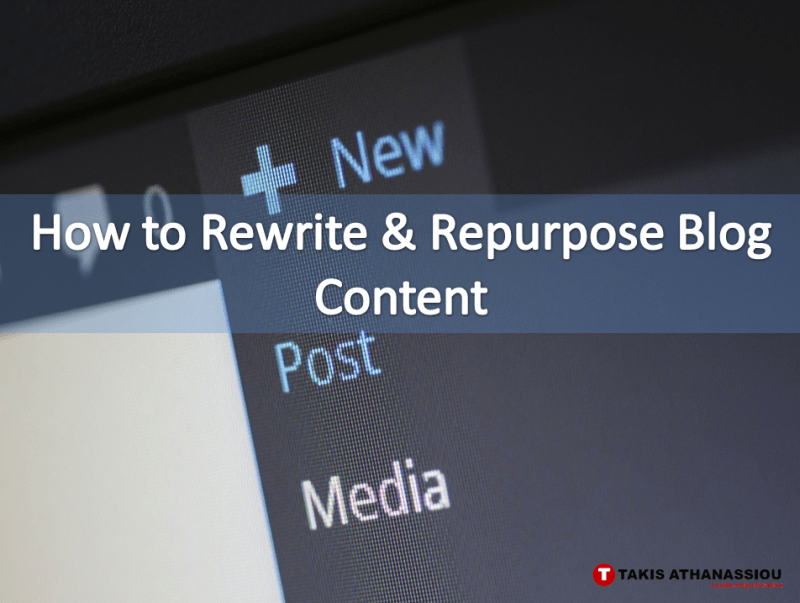 There are many ways you can repurpose your content and provide value to your readers! Some are more difficult than others, some cannot be done by yourself without an experts’ assistance and some are very time or money expensive to implement without prior knowledge. Content repurpose practice should be an integral part of your content strategy! Your content repurposes practice can ranging from developing a simple presentation based on the content you are going to use as a base to develop a video presentation, a podcast, or something else with larger impact (as an ebook or a course). 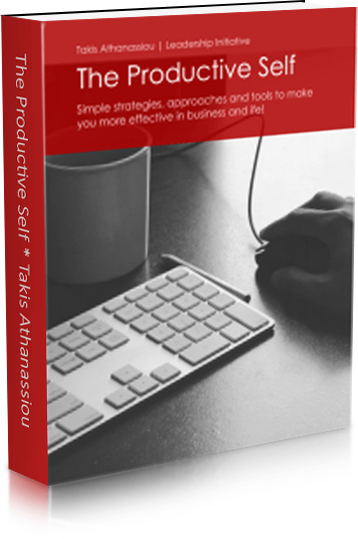 Develop an ebook with one or more related posts binds together. You can give it free or as a “legal bribe” in your site (in exchange for e-mail addresses) you can publish it on Amazon, you can upload in Gumroad as a pay what you want or with a minimal price, you can add it as basic material in a course, etc. 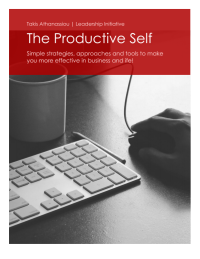 Develop a cheat-sheet or a document based on tips given in a post or a resource guide, etc. What do you think? How else can you do for content repurposing? Send me your ideas and your comments!